Speyer is a romantic town on the river Rhine not far from Heidelberg. In the centre you will find a big cathedral, and not far away (10 minutes to walk) you reach the Technik Museum Speyer. It had a department for self-playing musical instruments known under the name Musiksalon, which was closed for some time and is now newly established in the Wilhelmsbau -- an outstanding historical building and museum. The museum organizers thought, "The visitors want to see more, not only some music boxes." So you will find the ambiance of the era of one hundred years ago, with furniture, fashions, uniforms, accessory, old toys and dolls. 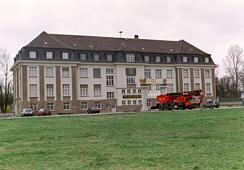 The Wilhelmsbau is a building with diversified history dating from WW1. I estimate it has an exhibition area between 12,000 and 15,000 square feet in over three floors. In the Internet you will find something about the Technik Museum at http://www.technik-museum.de/. The English version at http://www.technik-museum.de/home-wilhelmsbau/endex.html is not yet up to date. 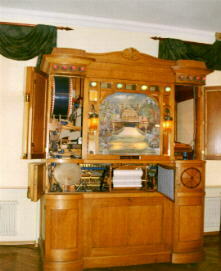 In the German version the Wilhelmsbau is introduced at http://www.technik-museum.de/home-wilhelmsbau/index.html . 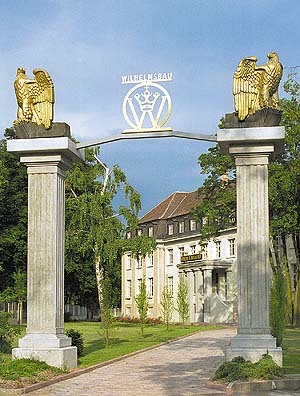 With the "Wilhelmsbau", situated in the grounds of the Technik Museum Speyer just a few steps from the "Liller Halle" building, a unique museum was created that takes visitors back to the turn of the century era. The high, lavishly decorated rooms with their stucco ceilings, parquet flooring and wainscoting are conveying an air of the glamour and noblesse belonging to an epoch whose elegant lifestyle was material in forming our picture of the "good old times". The spectrum of the exhibition shown on three levels is truly outstanding. The main focus theme of the ground floor is a collection of mechanized musical instruments. Long before the phonograph came into existence these marvels of mechanized music, activated by cylinders, metal plates or paper tapes, provided musical entertainment in cafes, restaurants and drawing rooms of the middle classes. The finest and most noble models, like the reproduction pianos by Messrs. Welte of Freiburg, were reserved for a limited, privileged class of wealthy music fans, who were able to enjoy concert hall quality performances of the most famous pianists of their time with this instrument. To see and hear one of these instruments in action is an unforgettable experience. Then the imposing stairwell takes us up to the middle level with an exhibition in painstakingly arranged display cases, each of them a small time capsule in itself, showing historic fashion, contemporary accessories, toys of the time and many items of everyday life of the middle classes. 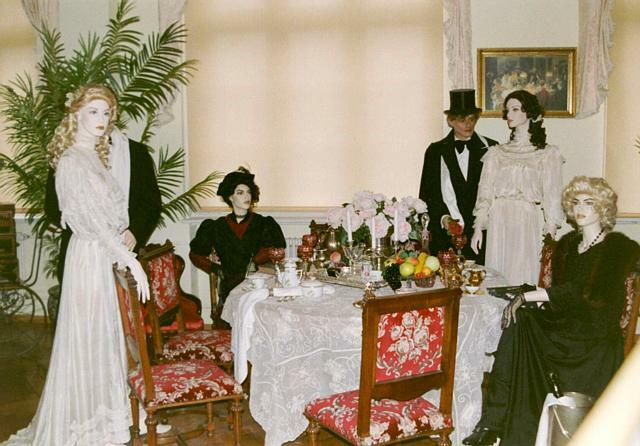 Many of the fashion garments are draped on artists' dolls, 50 lifelike that you would expect to see them move around any moment. Another highlight is the world-wide unique collection of dolls from the United States comprising several thousand dolls of all periods and styles, which are also on exhibit on the middle level of the museum. Classic porcelain dolls are shown here as well as many characters from fairy tails ranging from Cinderella to Alice in Wonderland. Particularly interesting for hunters is the "Jagdzimmer", the Hunter's Room, which shows numerous hunting trophies from all parts of the world. The tour of the building culminates in the Winkler collection in the upper floor of the Wilhelmsbau. Exhibited in valuable, masterfully illuminated mahogany show-cases, the glory of Old Prussia comes back to life. Besides uniforms, helmets, medals and decorations, insignias, sabers and other things military, the exhibition includes rare items of historic fashion, reflecting the spirit of those times in a most impressive way. 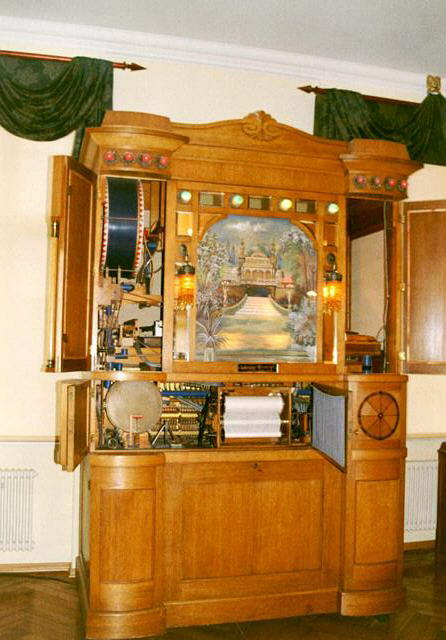 The Wilhelmsbau building houses one of the largest collection of mechanized musical instruments, from the tiny musical box up to the wardrobe-sized orchestrion. 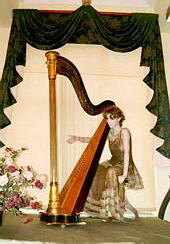 The range of instruments on exhibition is unique and reaches from the beginning of music boxes, like the serinettes and flue-work clocks of the late 18th century, up to the perfected reproduction pianos and automatic violins of the nineteen-twenties. There is hardly any other museum offering the visitors an opportunity to observe the technological development of this singular class of instruments as closely as this. 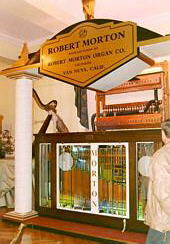 The elaborately furnished rooms like the "Black Room" the "Room of Big Organs", the "Clock Cabinet", and the "Hall of Orchestrions" not only lend a particularly beautiful setting to the exhibition but also convey to the visitor an impression of those times in which mechanized musical instruments were at the height of their popularity. With the "Wilhelmsbau" building the collection of the Technik Museum Speyer could he extended with many notable elements, and we hope that our visitors will enjoy their tour of this exhibition as much as we did creating and arranging the museum.